Toxic Chemicals – Freedom For Humanity! Posted on April 17, 2019 by TheLightHasWonPosted in GeoengineeringTagged Air Pollution, Aluminum, aluminum nanoparticles, Alzheimers Disease, Atmosphere, atmospheric aluminum, Badhealth, Badpollution, Brain Function, Brain Health, Climate Change, Climate engineering, Dementia, Depopulation Agenda, environ, Environment, future war tech, Geoengineering, Global Warming, global warming hysteria, Heavy Metals, Neurodegenerative Diseases, neurological disease, Toxic Chemicals, Toxins, Weather Manipulation, weather modification experiments. (NaturalHealth365) It’s official – glyphosate, the active ingredient in the weed-killer Roundup, has been officially linked to cancer cell growth. Last summer, a jury awarded $289 million to a school groundskeeper for Roundup’s role in his non-Hodgkin’s lymphoma – and hundreds of lawsuits are ongoing. Now, research reveals a stunning – and dangerous – twist in the story of this toxic chemical: the “inactive” ingredients in Roundup are thousands of times more toxic than glyphosate itself. Posted on April 13, 2019 by TheLightHasWonPosted in Cancer, Environment & Health, Monsanto - Bayer - SyngentaTagged Adjuvants, agrochemical companies, Cancer, Cell damage, Children, developing countries, developmental toxicity, Environment, EPA, farm workers, Food, Food Crops, Foods, Glyphosate, Governments, Herbicide, human cells, Human Health, Ingredients, lawns, non-Hodgkin’s lymphoma, organic food industry, parks, pesticide contamination, Pesticides, playgrounds, poisonings, protect the environment, protect the human health, roadsides, Roundup additives, Roundup adjuvants, Scientific community, Shocking study, Toxic, Toxic Chemicals, Weed Killer. Are you depressed? Anxious? Hyperactive? Attention Deficit? Psychotic? Delusional? Schizophrenic? Bipolar? Social anxiety disorder? Panic attacks? Do you have a disease? Has it been diagnosed? Is there a cure? Posted on April 12, 2019 April 12, 2019 by TheLightHasWonPosted in Medicine & HealthTagged Anxious, Attention Deficit, Bipolar, Conventional Medicine, Cure Depression, Cures, Delusional, Depressed, Disease, Drugs, Healing, Hyperactive, Illness, Mental Disorders, Nutritional deficiencies, Panic attacks, Poisoning, Psychotic, Schizophrenic, Social anxiety disorder, Toxic Chemicals, Western Medicine. Posted on April 7, 2019 by TheLightHasWonPosted in Food & HealthTagged Detox, detox foods, Detoxification, Goodfood, Goodhealth, Goodmedicine, Heavy Metals, Lead, Mercury, Natural Cures, Natural Medicine, Nutrition, Organics, Poisons, Prevention, Remedies, Spices, SuperFoods, Toxic Chemicals, Toxins. In this day and age, most are aware that organic food is better for the health of people and the planet. 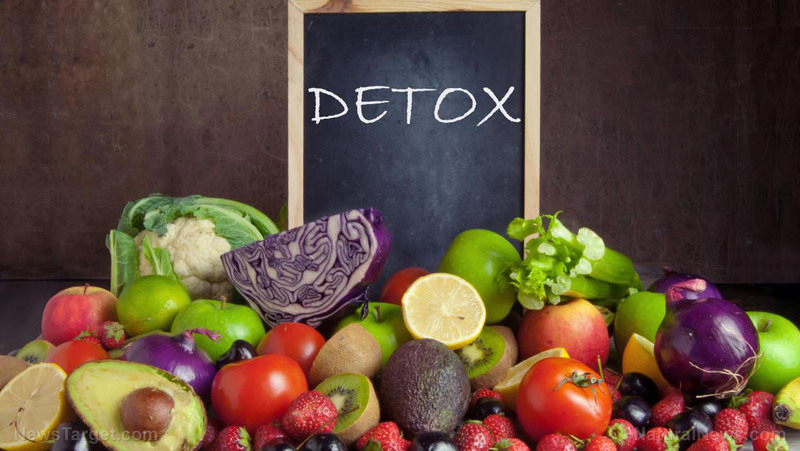 With increasing levels of exposure to toxins in the environment — like the burning of fossil fuels and industrial waste — now more than ever, it’s important to consume a clean diet to keep the body healthy and strong. But while organic food consumption is on the rise, we still have much to learn about the overall benefits for personal and collective health, not only on a physical level, but also mentally and, some say, spiritually too. Posted on April 1, 2019 by TheLightHasWonPosted in Environment & Health, Food & HealthTagged ADHD, agricultural pesticides, American farmers, benefits, Body, Cancer, Chemicals, Environment, Exposure, Farmers, Food, Foods, HealthCare, Hodgkin’s disease, Insecticides, Insects, Leukemia, locally grown, mentally, Mind, non-Hodgkin’s lymphoma, Organic Food, Parkinson’s Disease, Pesticides, Public Health, Science, soil microorganisms, Soul, Spiritually, Study, Toxic Chemicals, toxins damage agricultural land, WeedKillers, worms. (Natural News) Oh yes they did. There’s now a so-called “study” that’s been done which supposedly determined that organic farming creates a much bigger carbon footprint that torques up “global warming” more than ever. Yes, old faithful US News has regurgitated a chunk of claims published in the International Journal of Science, and somebody has to set the record straight. Posted on March 27, 2019 by TheLightHasWonPosted in Environment & Health, Food & Health, Mat & Hälsa, Miljö och Hälsa, Monsanto - Bayer - SyngentaTagged Agriculture, bayer toxins, Big Food, BioTech, Cargill, chemical-free agriculture, Climate, climate-destroying bug killer, CO2, Deception, Dementia, dementia farms, Dow, DuPont, Ekologiskt Jordbruk, Environment, Fertilizers, frankenfood, Giftiga bekämpningsmedel, Glyphosate, glyphosate poisoning, gmo lies, Goodfood, Goodhealth, Grödor, Greenhouse gas emissions, Hållbarhet, Herbicides, Insecticides, Jordbruk, Junk Science, LivsMedel, Mat, monsanto toxins, Organic Farming, organic lies, Organics, Propaganda, real investigations, roundup cancer, Sustainability, sustainabilty, Sustainable, Syngenta, Toxic Chemicals, Toxins, Truth, truth about gmo, truth about organic, vertical gardens, Weed Killer. If you’re buying fresh fruits and vegetables in the United States, 70 percent of it will carry pesticide residues on it even after you’ve washed it, according to a new study from a widely-respected health advocacy group. The Environmental Working Group’s annual analysis of U.S. Department of Agriculture data offers grim evidence of the over-saturation of pesticides and toxic chemicals in conventional agriculture in the United States, with top crops such as spinach and strawberries counting among the most contaminated produce. The group hopes the report will inform shoppers of the risks inherent in buying and consuming conventionally-grown produce versus organic fruits and vegetables. Posted on March 21, 2019 by TheLightHasWonPosted in Food & HealthTagged Agriculture, Big Food, carcinogenic pesticides, Consuming, contaminated, Crops, Diet, Farmers, Food, Food and Health, Foods, Fruits, Organic, Pesticides, poisonous gases, risks, Toxic Chemicals, United States, Vegetables.